The #IceBoxChallengePgh is a contest and an experiment to demonstrate how a home can be super energy efficient AND comfortable. The Ice Boxes will be left outside in the sun for 25 days in Pittsburgh. When they are opened, the amount of ice left in each box will be measured. How much ice is left shows how well each Ice Box keeps out the summer heat. Better building design can help us reduce our carbon pollution without changing our behaviour. Energy-efficient homes are comfortable, quiet and healthy. Thanks to a strong professional base, innovative governmental policy supporting Passive House, and a community of forward-thinking developers and housing agencies, Pittsburgh is home to one of the largest concentrations of major Passive House and other deep green development on the continent. To accelerate the adoption of Passive House here in Pittsburgh and across the US and Canada, the North American Passive House Network will hold its marquee event of the year, the NAPHN18 Conference + Expo, in Pittsburgh this year. And you are invited! 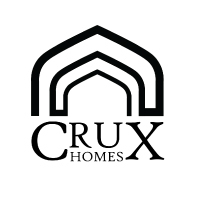 and in partnership with CruxHomes, Passive House Western Pennsylvania, and the North American Passive House Network Conference + Expo 2018. Ice Box design by Stark Architecture. Exterior paint artwork by Oli-B.